Join us for a conference call! 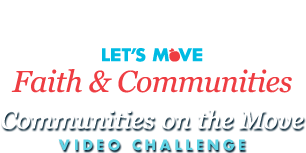 You are invited to a national Let’s Move! Conference Call for faith and community leaders about the Communities on the Move Video Challenge with Sam Kass, White House Senior Policy Advisor for Healthy Food Initiatives. Please forward this invitation to your members and partners. You do not need to RSVP for this call. If you have questions, please email collaborate@usda.gov. We encourage you to join the Let’s Move Faith and Communities network of supporters by signing up online!